At SunBlue Energy, we love speaking at schools, libraries, and other organizations about everything from how solar works to its impact on the environment to types of solar panels. Westchester, NY is our home, and we welcome the opportunity to be involved in the community, whether that means educating students, sponsoring sports teams, or informing homeowners of the many benefits of solar. Please call us at (914) 222-3510 or email us and we’ll be happy to set up an event for your group. For details about upcoming events, visit us on Facebook or our blog, or subscribe to our newsletter. To learn more about our local solar professionals, click here. SunBlue is honored to be a member of The Business Council of Westchester, Westchester County’s largest and most influential business membership organization! Listen to Chris Hale being interviewed by the Business Council of Westchester’s Dr. Marsha Gordon! Don’t miss us at Third Fridays in Tarrytown! The next one is Friday, November 18. Come to our booth on Main Street, say hello, and let us answer all of your solar questions! SunBlue is proud to have gone pink! The SunBlue team walked this year in the American Cancer Society’s Making Strides Against Breast Cancer annual walk, at Purchase, NY. Thank you to everyone who walked with us or supported us in this great cause! Your support helps to enable investment in groundbreaking breast cancer research as well as provide information and services for those diagnosed with the disease. Real Men Wear Pink! Our installers support Breast Cancer Awareness Month! We had a great time welcoming families to the SunBlue booth at the Screening Under the Stars, at Kensico Dam Plaza. Kids and their grown-ups mummified the SunBlue staff and won vampire teeth in our Poke-a-Bat game — before enjoying a free screening of Hotel Transylvania 2. Thanks to everyone who came out! It was a day of education and networking when SunBlue hosted a Houzz event at the SunBlue offices, teaching industry professionals how to promote their businesses, gain new customers, and network with other professionals. Afterwards, we enjoyed meeting local Westchester professionals at the special networking event at the Tarrytown Music Hall. Thank you to all who attended! Want to learn about future events? Join our email list for invitations to professional events in Westchester. SunBlue was proud to host a special screening of the documentary Catching the Sun, a new film that explores the global race to a clean energy future, at the Warner Library in Tarrytown. Missed the screening? Learn more about this important film here, or watch a sneak peek below! SunBlue was proud once again to sponsor the Horseman Color Run in Kingsland Point Park, Sleepy Hollow, NY. 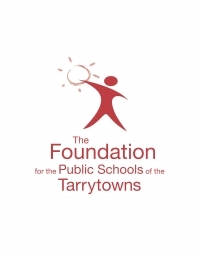 The run is a fundraiser for the Public Schools of the Tarrytowns. Check out the fun photos below! SunBlue also sponsored the RivertownRunners’ 6th Annual Sleepy Hollow Half Marathon. Great job, runners! SunBlue Energy is a proud member of the Rotary Club of the Tarrytowns! We recently sponsored the 2016 Duck Derby this April 30 at Patriot’s Park. And check out SunBlue’s Chris Hale marching with the Rotary Club in the annual St. Patrick’s Day Parade! At SunBlue, we love educating students about solar power and the environment. Recently, SunBlue’s Jonathan Bonhomme and Chris Hale spoke to the sixth-grade class at Sleepy Hollow Middle School about careers in solar energy. And SunBlue had a great time teaching the kindergarten class at John Paulding school all about Earth Day! To set up an event for your school, please call us at (914) 222-3510 or email us. SunBlue Energy joined Family Fun Day at the Tarrytown Music Hall, where kids made banks out of recycled bottles and wrote messages to the earth and sun on “solar panels” placed on a model house. SunBlue is proud to have installed a 27.5 kW system on this historic theater, built in 1885 and listed on the National Register of Historic Places. Recently SunBlue sponsored a concert with legendary singer-songwriter Graham Nash, who dedicated the final song, “Teach Your Children,” to those responsible for the theater’s solar initiative. See a video of the installation here. SunBlue sponsored the TNT Little League Baseball team in Tarrytown/Sleepy Hollow. The SunBlue team made it all the way to the championship game…. great season, guys! Thank you to coaches Luis Flores and Eugene Arduino! Speaking of sports, SunBlue was thrilled to run in the Sleepy Hollow “Run for Your Life” Halloween 10K. Chris Hale, Jonathan Bonhomme, and Tom Dever (part of the SunBlue family) finished at the same time: 57 minutes, 40 seconds. Here is a video of the photo finish. Recently Laura Waldman, SunBlue Energy’s Operations Manager, traveled to Flint, Michigan, as part of Project 845, a group of volunteers from Haverstraw, Spring Valley, and Nyack who drove 670 miles to Flint to deliver three trucks full of donated bottled water in response to the Flint water crisis. The future’s in good hands with the students at the Emmett O’Brien Technical High School in Ansonia, CT. Students here specialize in electrical work, carpentry, HVAC, manufacturing, healthcare, culinary arts, automotive or hairdressing. Their annual career fair was a big success, with kids asking questions about solar, and some having worked on a model installation. Contact us today to learn about having SunBlue at your school’s career day or job fair.